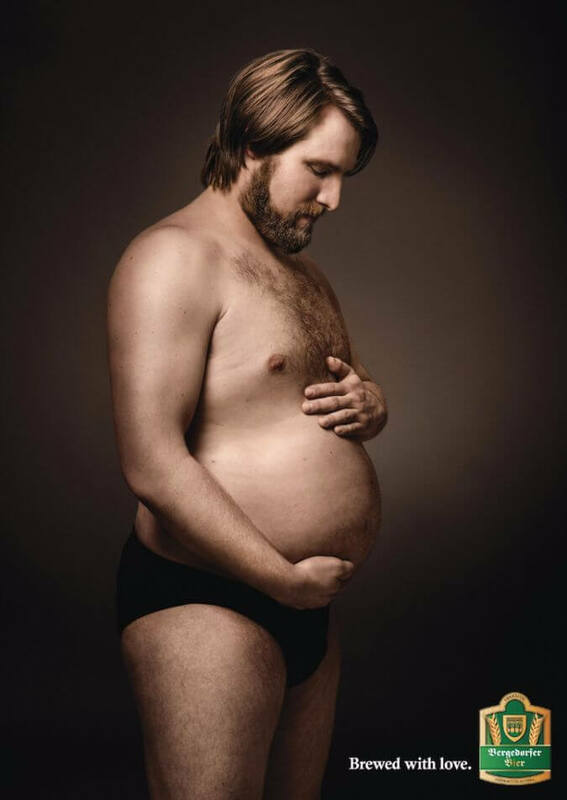 A German beer company has decided to ditch male models in favour of men who are more representative of the regular beer consumer. 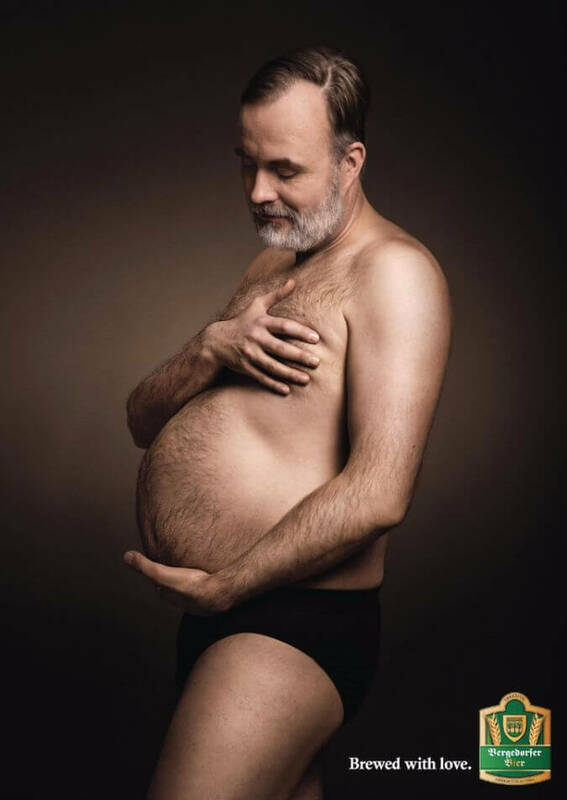 The hilarious new advertising campaign for Bergedorfer Bier, created by advertising agency Jung Von Mattin, features men – all dressed in plain black briefs – affectionately looking down at their baby-like beer-belly bumps. 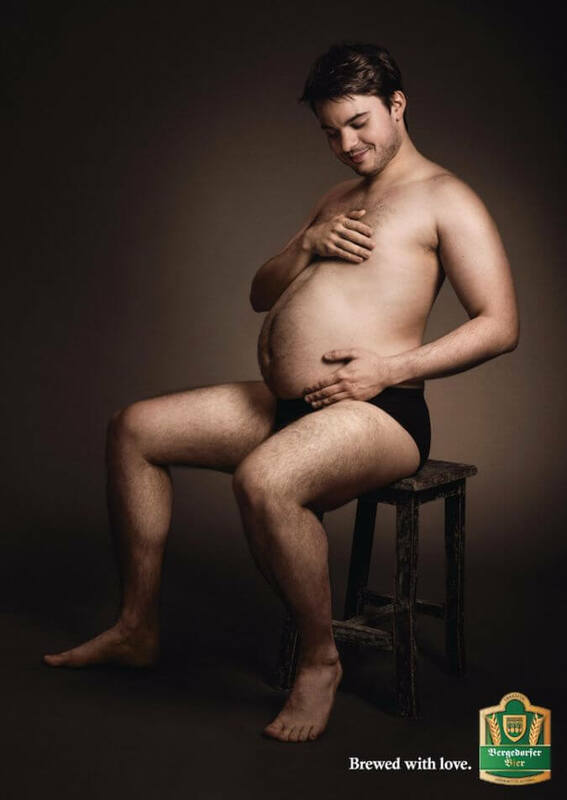 Each man adopts a classic pregnancy pose, cradling his expanding belly and concealing his bare chest with his hands.